The KTM 500 EXC-F is undoubtedly the most powerful competition enduro bike available. Its dominant power is tightly packaged in a cutting-edge chassis to keep things civilized, allowing riders to reign in all of its horses over the toughest terrain. All it takes is a twist of the throttle to realize that this in no ordinary big-bore enduro bike. 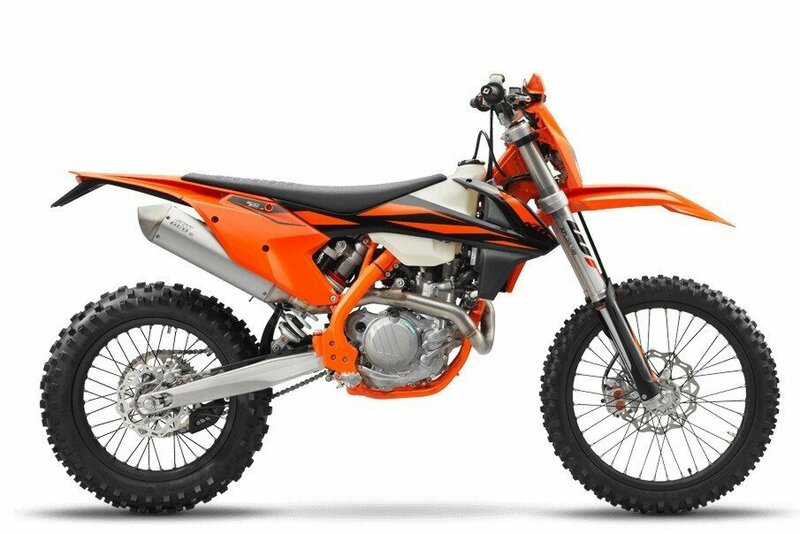 It's THE ULTIMATE big-bore competition enduro bike.^^Offer ends 30/04/19^^*Ride away price includes all offers, cashback, rebates and discounts.^^Please note this price is for Queensland only. Please contact your local KTM dealer for location specific pricing.